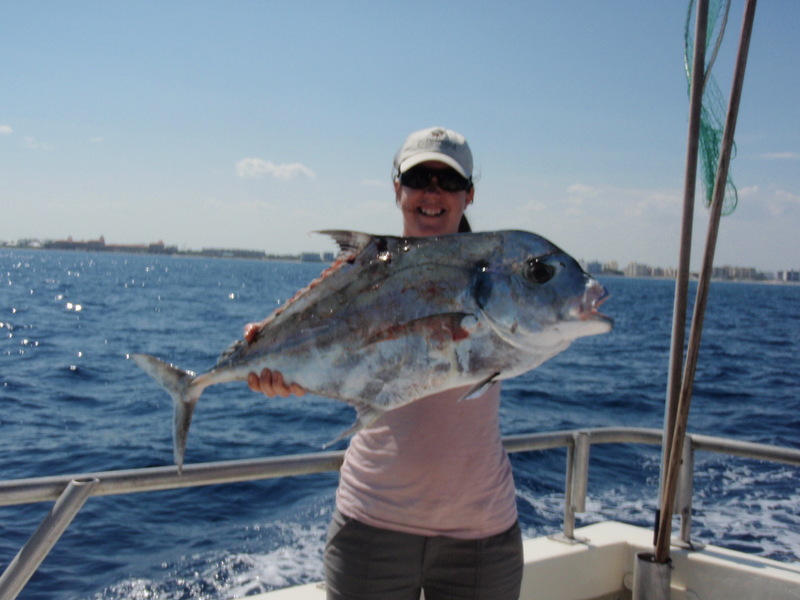 Lady VIP angler Maggie, of Lake Worth, displays her first ever African Pompano caught aboard the Lady K. She was using a light 12 pound test outfit and fishing a sardine near the bottom when the fish hit. She has also caught and released a sailfish and brought home plenty of snapper while fishing the Lady K. Nice work Maggie – keep it up! 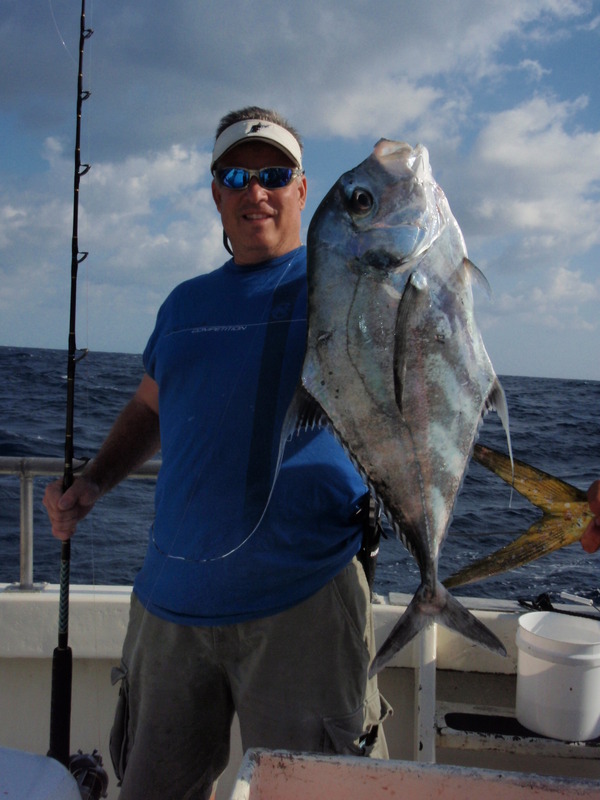 VIP Danny nabbed this African Pompano while spooling bottom over one of the area wrecks within the home waters of the Lady K. African Pompano like to hang around wrecks, ledges and coral heads where they gather in small groups to spawn throughout March, April and May. They commonly feed on small fish, squid and crustaceans. They will also take jigs or lead-headed feathers tipped with bait and fished off the bottom. 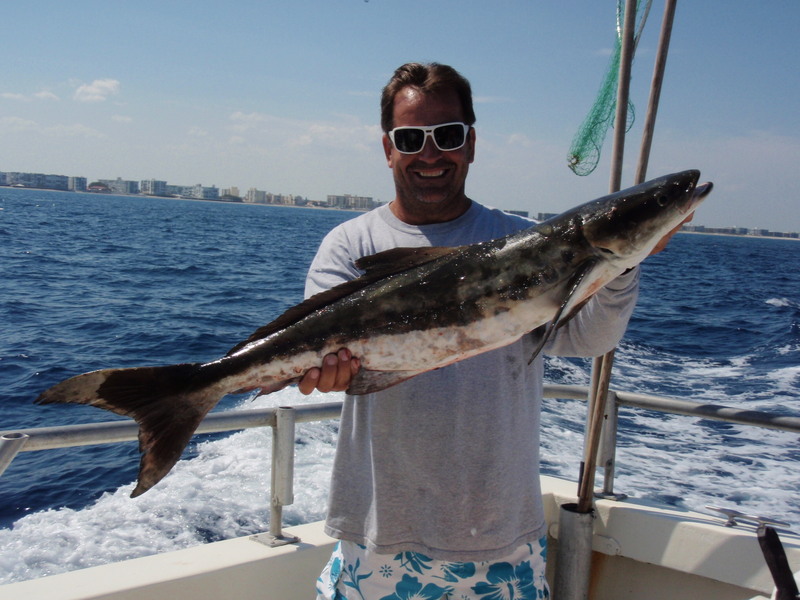 Cobia are still being taken by a few lucky anglers who can get them past the Bull Sharks. Fishing a knocker rig and jigging it off the bottom has been proving very effective. 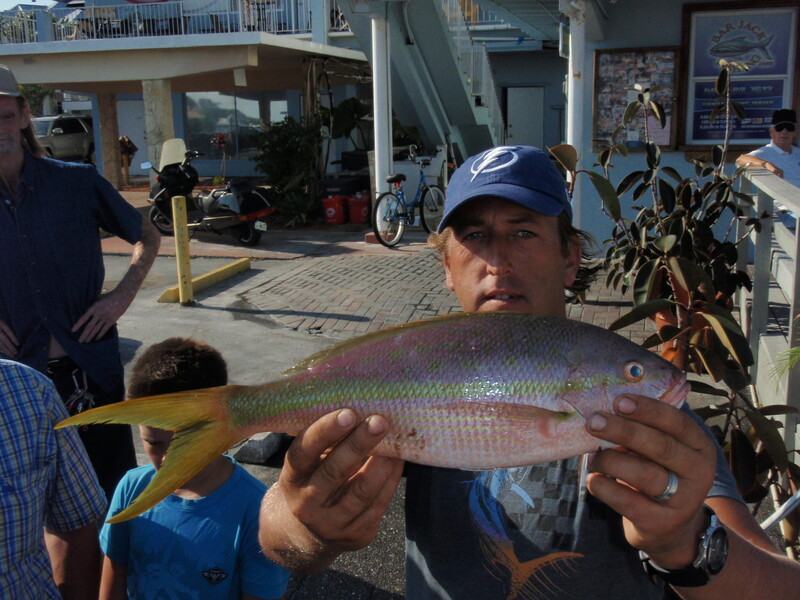 Other fish that have been hitting include Vermilion Snapper, Red and large White-bone Porgies, Yellow-tail and Mutton Snapper as well as False Albacore and a few King Mackerel. All three of our daily trips have been producing fish and many anglers have been enjoying the seasonal migration of many sea birds, water fowl and watching sea turtles basking in the sun while drift along the lazy royal blue waters off the coast of Southern Palm Beach County. Come on out and experience the age-old heritage of fishing and who knows, maybe today will be your day aboard the Lady K?